Blog > News > Knit and keep your New Year’s resolution! Knit and keep your New Year’s resolution! What are your new year resolutions for 2017? Stop smoking? Lose weight? Quit sugar? Exercise? Knitting can help! Every year I promise myself that I will eat less and exercise more. It’s not easy! This year, on New Year’s day, as usual, I swore to myself that I would definitely quit sugar, just after I polished off a big piece of Christmas cake and a rather delicious bowl of trifle about an hour later! But knitting has been my saviour. I decided that after my gift knitting I would focus on knitting for myself, and this month, that’s what I’ve done. I’ve knitted and knitted and knitted – and I’ve absolutely loved it. When you’re knitting, you’re not eating chocolate! We know how much knitting and crochet can help our mental health – so what other benefits are there? A group on Facebook called the Pippin Crochet Club has set up a separate group called Hook Yourself Slim for crochet and weight loss. There’s definitely a correlation between having your hands busy with yarn and not munching your way through the evenings! Apparently knitting burns 80 calories per hour – who knew?! Knitting is apparently just as effective for those who suffer from all kinds of eating disorders – it helps to keep focus, create something positive and keep anxiety in check. My grandma used to manage to knit, smoke and watch the tennis all at the same time (with me on her lap) – I suspect this was very typical of the grandmas of the 60s and 70s, and far less so now! All the same, it is difficult to knit and smoke at the same time. Knitting apparently helps with lowering blood pressure and heart rate, which is great news for anyone focusing on keeping their heart healthy. An article in The New York Times is a fabulous read on the health benefits of knitting – from improving the memory to keeping fingers dexterous! Knitting to improve your self esteem is a gentle way to boost positivity. It’s very therapeutic to choose colours, stitches and yarn and then MAKE something lovely for yourself with your own two hands. Who says you can’t knit on the go? Knit on the train, on the bus, even when you walk – this is a lovely image from Extreme Knitting of a knitter checking stitches whilst enjoying her yoga – all that positive energy must be helping keep an even tension! 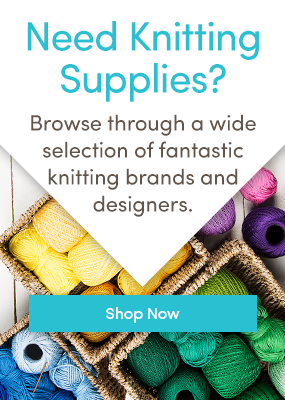 Download our LoveKnitting app to access your patterns (and exclusive FREE patterns!) wherever you go! It’s a free app for iPad and iPhone, and so easy to use. This year I’m determined to learn something new – and in the world of knitting, there is ALWAYS something new to learn! What were your New Year’s resolutions? Can knitting help? Tell us all about it in the comments below! Last updated: January 12th, 2017. One Response to Knit and keep your New Year’s resolution! I share your passion to knit more and eat less. I made many handmade gifts this winter and used up a good amount of my stash. People were so grateful. I want to start earlier this year and knit more gifts for next holiday!